Brother Roland Laframboise, FSC, of the Francophone Canada District, died on September 14, 2016, in Laval (Québec), Canada. He was 91 years old. Visitation and Prayer at 7:30 p.m at Résidence De-La-Salle, Laval Québec. 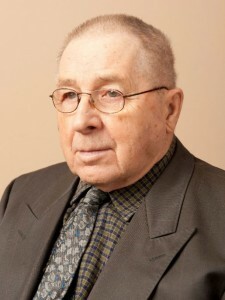 Funeral mass at 10:30 a.m. at Résidence De-La-Salle, Laval Québec. The cremains will be buried on Tuesday September 27 at 10 a.m. at Notre-Dame-des-Neiges cemetery in Montréal, in the community gravesite. Pronounced perpetual vows: 1949, Val-Morin.